Sales of male grooming products in China are now growing more rapidly (7% in 2013) than the personal care category as a whole (5%), according to research from Kantar Worldpanel. The fastest-growing segments are shampoo (46% increase in sales in the last year), bar soap (36%) and liquid soap/shower gel (34%). Deodorant sales have declined 6%, while the skincare market is flat. The study¹ reveals huge opportunities for brands to enter or grow their share in the Chinese male grooming market. While growth of ‘for men’ personal care products is strong, only 74% of men in China currently buy at least one item, with many still using whatever they find in the bathroom. In terms of exclusive ‘for men’ products, 97% buy shaving products and 79% fragrances, but only 30% use shampoo, 19% shower gel and 48% moisturisers. And with 60% of Chinese men believing that foreign personal care brands are of higher quality than home-grown brands, there is great potential for international brands. Jason Yu, General Manager China, Kantar Worldpanel (CTR) said: “The potential consumer base for male grooming products in China is huge: as people become wealthier they are increasingly interested in their health and wellbeing, and are more able to afford ‘specialist’ products that provide specific benefits. With penetration still low, there is plenty of room to launch new variants specially designed for male users, particularly in the shampoo, oral care and personal wash categories. 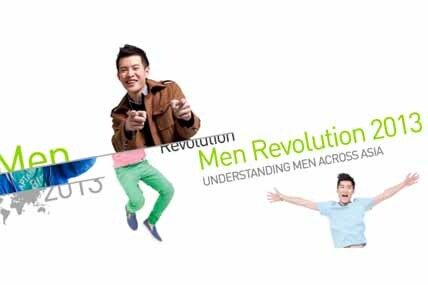 • Men do care – most male consumers in China claim to pay attention to their appearance, whatever their age or income level, with the majority (85%) saying they do so because it “makes me feel better and more comfortable”. When it comes to their concerns, 39% of male consumers are worried about bad breath (41% of high-income men), yet only 25% use mouthwash. Dandruff is an issue for 55%, yet only 26% use ‘for men’ shampoo that targets this problem. 41% are concerned with greasy hair, while 44% of low-income Chinese men are worried about acne. • They look after their appearance for women, or for work – 73% use grooming products because women like it, and 73% believe it’s important for their job. Higher-income males (70%) are more appearance-conscious than low-income men (61%), because they see it as an indicator of social status. • Chinese men use more grooming products – men in Asia use seven products on average, yet only three are exclusive ‘for men’ variants, most commonly in the skincare and shaving segments. 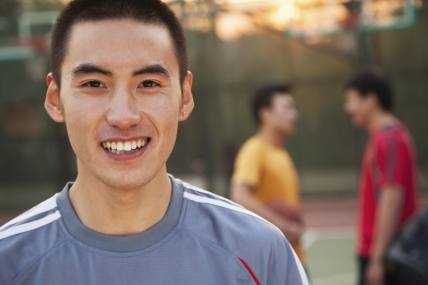 Chinese men, however, use an average of three skincare products. Facial cleansing is the most developed skincare segment – 65% buy these products compared to 56% for Asia as a whole. 22% use facial wipes, while products with anti-ageing and whitening benefits are also popular. ‘For men’ shampoo is growing strongly, at 6%, but is still only bought by 3% of male consumers. Sales of ‘for men’ shower gel grew 34% in the last year, but penetration is just 3%, while sales of moisturisers increased 4% but they are used by only 7% of men. The deodorant market is shrinking – sales of ‘for men’ variants are down 6% on the previous year. 88% of Chinese men access beauty and fashion information online, the highest in all of Asia.